Space Jam 11 Matching T-Shirt Series Lift Off! Chef spent a few days cooking up some dope shirts for the highly anticipated Jordan 11 Space Jam 2016 “Monstar Mash” release. The designs range from the classic “My PreXIous” classic graphic tee so several new designs featuring Bugs Bunny and many versions of the signature GourmetKickz “Now Serving” logo. 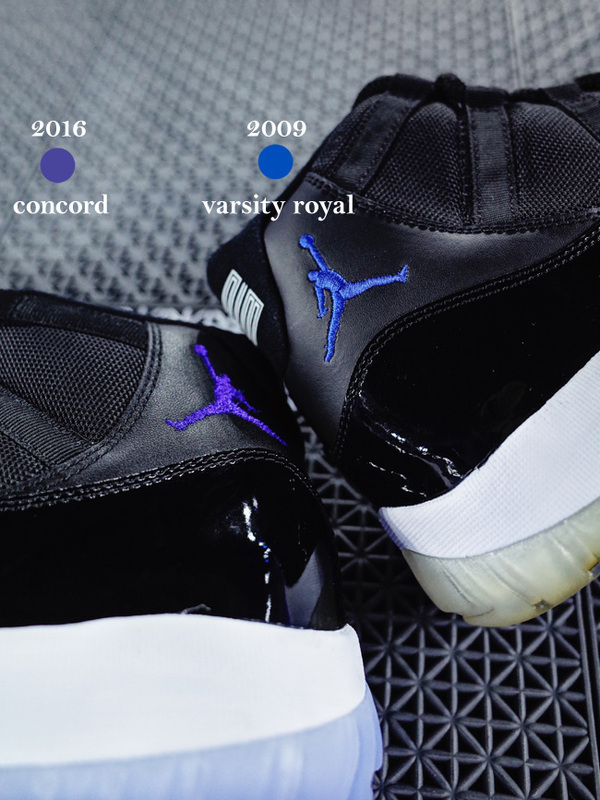 As to the color, this year’s Space Jam 11 uses “concord” instead of “varsity royal” as seen on the 2009 version. This is KEY because many shirt designers have not adjusted their color palette to accommodate for this change. As shown in this comparison picture, the 2016 Space Jam uses more of a purple hue: black/concord-white is the actual colorway listed on the box and as you can see concord is much different from the varsity royal color. Check out the array of offerings below or head on over to the Space Jam 11 Apparel Page.